A mission to democratize financial services might sound lofty and abstract to most people, but at PayPal, where that is in fact the mission, the digital financial services company has been creating initiatives to make it a reality. Take, for example, a new partnership with Walmart that will let mobile app users take cash out of their PayPal accounts at a brick-and-mortar store. This collaboration is designed to reach customers who are traditionally excluded or underserved by traditional financial services—a direct step toward the mission of giving everyone access to a trusted, secure, and efficient form of managing and moving money. 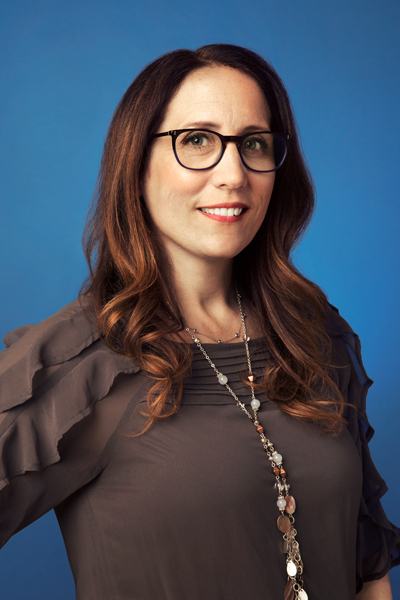 At the forefront of this mission is Louise Pentland, PayPal’s executive vice president and chief business affairs and legal officer. In her role overseeing the company’s global human resources, legal, communications, intellectual property, government relations, and social innovation functions, Pentland speaks enthusiastically about employee diversity and the importance of building an “empathetic workforce.” She is especially passionate about ensuring that PayPal’s hiring and talent retention practices align with its mission. Empathy is essential to business success and to building an inclusive, sustainable company culture, she says, as well as to devising successful new products and services. “We believe access to financial services is a right of all citizens of the world,” Pentland says. It is critical for the company’s employees to understand the challenges of the people it wants to serve. Knowing what their lives are like, and how lack of access to financial services creates challenges, helps PayPal refine its offerings and create new ones. Much of PayPal’s success stems from initiatives that cater to underserved groups. That includes small businesses and people in rural areas of the developing world. These demographic niches may not be profitable for conventional banks to serve, and so they are left at a disadvantage. Without a bank account, it’s tougher to save money, collect fees from customers while running a small business, or take out small loans. Another of PayPal’s core constituencies is owners of small businesses who depend on PayPal services to sell products globally, Pentland explains. Some of these owners do the bulk of their business during certain seasons—November and December for holiday gifts, for instance. “If we offer them the ability to pay back loans linked to their revenue cycles rather than the traditional twelve-month cycle, then we can work with them so that they can pay back when they have the money,” Pentland says. To ensure that they can anticipate and better serve the needs of these kinds of customers, PayPal has recruited and hired former small business owners who have run such businesses, and their firsthand knowledge is valuable in creating terms for loan offerings. In fact, PayPal has created a culture of encouraging its global workforce to go the extra mile to better understand the company’s constituencies—literally. “It’s important for them to get out of our headquarters and go to where the customers are so that they can see what their lives are like and bring back that knowledge on a regular basis,” Pentland says. These trips also inform Pentland’s legal team as it advocates for changes in financial laws to benefit its customers. “It helps us when we talk to regulators so that we can optimally serve that constituency,” she says. This ethos of inclusiveness permeates PayPal’s values and what Pentland calls “conscious inclusion,” a pledge to drive greater inclusivity both internally and externally. Global conscious inclusion training includes personal action-plan development, bringing lessons learned “in class” into one’s real world. “We want to create an inclusive work environment so that people can do their best,” she says. Pentland’s personal mission to make PayPal a more inclusive company is recognized both within the company and by outside partners who work with her team. “Louise’s deep and genuine commitment to diversity is reflected not only by her innovative actions at PayPal, but also through her insistence that outside counsel field diverse teams for all PayPal matters,” says Bruce Yannett, a partner at Debevoise. That commitment to inclusion can sometimes mean readjusting expectations and making extra effort to get a diversity of life experience and perspectives into the workforce. To that end, PayPal runs a sixteen-week boot camp for women and nontraditional candidates who have taken time off work and are ready to re-enter the technology industry. Called the Recharge Program, it enables these candidates to refresh their skill sets before jumping back into the professional world. PayPal also encourages the formation of groups where employees come together to build impact around a specific affinity, united by the common purpose of fostering a sense of belonging and support for inclusion to thrive in the workplace. “These groups are not just for people to get together and talk among themselves; they also drive initiatives across the company,” Pentland says. Whether its policies for improved accessibility for the specially abled, or ways the company can help working parents strike a better work/life balance, PayPal looks to these groups to spark changes in the company’s culture. One initiative close to Pentland’s heart unleashes the talents of her legal team to aid those in need. An active volunteer dedicated to aiding South American immigrant children seeking asylum in the United States, Pentland founded a global pro bono program to encourage the legal team to volunteer their professional skills to organizations, individuals, or charitable causes the team is passionate about. PayPal’s lawyers have helped organizations working to aid victims of domestic violence, ease ex-convicts back into society, and advocate for consumer law benefits and consumer rights. Pro bono work, Pentland says, allows PayPal lawyers to give back to their communities while stretching their abilities to learn about unfamiliar areas of law. Often, volunteer work provides insight that can benefit PayPal’s mission and strategy. “Most roads lead to financial services in some form,” she observes. Victims of domestic violence, for example, may need monetary aid while they separate themselves from their abusers. Insight into the particular struggles of certain groups of people can help PayPal create new products and services that meet them where their needs are greatest. Realizing that members of the legal team had extra capacity to do work outside of their assigned areas of responsibility, she created “a public marketplace for legal team members to take on work in another part of the business.” A Wiki-type application allowed lawyers to choose interesting work that bolstered their legal skills, which aided morale and retention despite the challenging financial state of the business. This creative approach to management helped earn Nokia the Financial Times Most Innovative In-House Legal Team of the year recognition in 2011. Pentland has carried over that principle to PayPal, where lawyers can take on new work that keeps them motivated and makes them more valuable as employees. “If you want to learn new skills, you shouldn’t have to leave the company,” she says. It’s another example of how diversity of experience can only make for a stronger organization. That philosophy has been a proven success at PayPal, and Pentland is determined to continue strengthening the company’s commitment to developing an inclusive workforce to deliver upon its mission to democratize financial services for all.